Although it is conventional wisdom that Newfoundland was "England's oldest colony" (a claim based both on John Cabot's voyage in 1497 and Sir Humphrey Gilbert's claim in 1583), it is also a fact that from the very beginning, France was an important participant in the exploration and exploitation of Newfoundland. By the time French explorer Jacques Cartier arrived in Newfoundland waters in 1534, Breton, Norman and Basque fishermen had been fishing there for over thirty years. At first, French fishermen concentrated on fishing close to shore in open boats. The fish they caught were given either a "wet" cure ("morue verte"), which was preferred in the markets of northern France, or a "dry" cure ("morue seche"), which was preferred in more southern markets. Then, around the middle of the 1500s, the French began fishing on the offshore banks for the first time. This remained the pattern well into the 19th century, the French producing both cures in order to satisfy both the domestic French market as well as the international one. It was this ability to serve a variety of markets and consumer tastes that contributed to the longevity of the French fishery in Newfoundland. French fishermen could be found in many parts of Newfoundland. The southern half of Newfoundland, from Cape Race west beyond Placentia Bay, was one region. Eventually, the French government would establish a colony at Placentia (which they called Plaisance) in 1662, though by then, numerous tiny settlements had already appeared from Placentia Bay, the small islands of St. Pierre and Miquelon, and beyond the Burin Peninsula into Fortune and Hermitage Bays. Another region was the coast north of Bonavista and particularly the coast of the Northern Peninsula, which the French called the "Petit Nord." A third region was the western coast of Newfoundland, which French Basques made their own special domain. All this meant that, in a very real sense, 17th-century Newfoundland was more French than it was English. At its peak between 1678 and 1688, the French fishery employed as many as 20,000 men (about one quarter of the French maritime population) and 300 vessels, thus outnumbering the English by roughly two to one. Yet by the middle of the next century, French settlement in Newfoundland had disappeared, the French fishermen were restricted to certain parts of the Newfoundland coast, and the English were firmly in control of the island. Why was that? Generally, there had been little friction between French and English fishermen in the 1600s. There was growing friction, however, in that century between France and England, and the hostility between the two countries often spilled into Newfoundland. 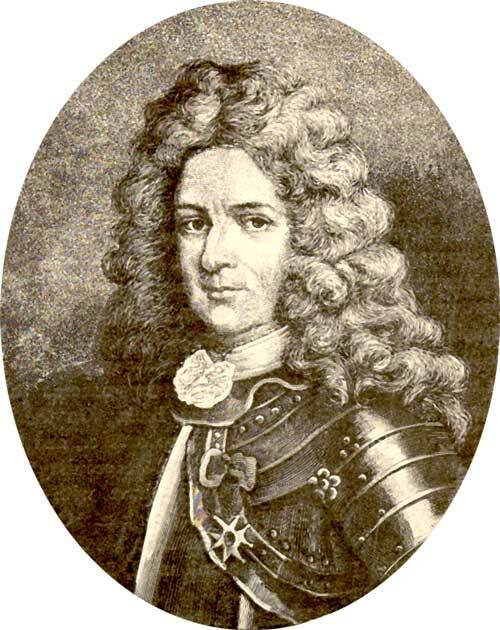 The winter campaign of Pierre Le Moyne d'Iberville in 1696-1697, which resulted in the destruction of almost all of the English settlements in Newfoundland, was simply the most sensational demonstration of this fact. Eventually, because of military and strategic successes elsewhere in North America and around the world, the French agreed to recognize British sovereignty over Newfoundland. From Justin Winsor, ed., Narrative and Critical History of America: The English and French in North America 1689-1763, Vol. V (Boston: Houghton, Mifflin & Company, 1887) 15. The Treaty of Utrecht, signed in 1713, required the French to abandon their settlements in Newfoundland, including Plaisance and the islands of St. Pierre and Miquelon. They were, however, allowed to continue to fish on a stretch of coast extending from Cape Bonavista up and around the Northern Peninsula as far south as Pointe Riche. They were not allowed to inhabit this so-called "French Shore" but they were allowed to fish there, and in this way they preserved the Newfoundland fishery's economic advantages as a source of employment and trade, as well as its perceived strategic role as a foundation for French naval power, by transforming Frenchmen into seasoned mariners (Newfoundland as a "nursery for seamen"). So important was preservation of its fishery at Newfoundland to France that in 1762, at a point during the Seven Years' War when France had suffered a string of devastating defeats, the French government insisted on continuing to fight a losing war rather than agree to peace terms, which would have brought the French fishery at Newfoundland to an end. The importance of maintaining a French role in the Newfoundland fishery is also reflected in the way in which France continued to direct military assaults on Newfoundland in 1762 and 1796, and threatened to do so during the American Revolution as well. Though none of these efforts were very successful, France did manage to reaffirm its Treaty Shore privileges, thereby preserving its right to fish not only out of St. Pierre but directly on extensive portions of the coast of Newfoundland itself. The French Shore did undergo one important revision in 1783. By then, the spread of English settlement into Notre Dame Bay had become a source of friction with French fishermen. England and France therefore agreed to shift the boundaries of the French shore westward; from 1783 until 1904, the French Shore extended from Cape St. John west, around the Northern Peninsula and all the way down to Cape Ray. Earlier, in 1763, the islands of St. Pierre and Miquelon had also been restored to the French. Those islands became the focus of the French banks fishery, with an indigenous "dry" cod fishery as well; the French Shore was used primarily by seasonal fishermen from France to produce cod for the international saltfish trade. As a result, French fishermen maintained a persistent though localized presence in Newfoundland right into this century. Those operating from St. Pierre and Miquelon (both the residents of those islands and the fishermen who came each season from France) developed strong commercial and cultural associations with Newfoundland residents of the Burin Peninsula and the South Coast. The trade in bait was particularly important in the nineteenth century. Similarly, on the French Shore, there was much interaction between the growing residential population and the seasonal French fishery. Though trade between the French and the inhabitants was forbidden by the provisions of the French Shore treaties, in fact French traders regularly provided locals with provisions and fishing gear in exchange for lumber and bait. Nevertheless, the French presence on the French Shore decreased dramatically as the 19th century wore on. Where once, in the late 1820s, more than 9,000 French nationals had fished on the French Shore, only 133 French fishermen showed up in 1898. The French government was therefore willing in 1904, as part of a general diplomatic settlement of English and French issues throughout the world, to terminate its "French Shore" fishing privileges. France did continue to maintain a fishery in St. Pierre, and trawlers based in French ports like St. Malo also came to St. Pierre to fish on the Newfoundland banks. The close proximity of St. Pierre and Miquelon to Newfoundland meant that the definition of the maritime boundary between French territory and Newfoundland became an object of some contention in the twentieth century. A boundary agreement in 1972 appeared to resolve the issue, but the dispute heated up after France and Canada began exercising jurisdiction to the 200 nautical mile limit. Eventually, in 1992, a mutually acceptable boundary was finally arbitrated. Thus, France, which began fishing in Newfoundland waters at the very beginning of the 1500s, has continued to play a significant role in Newfoundland history and affairs to the present day.